Join us at the Historic 1904 Ashe County Museum for the exciting opening of brand new exhibits including a World War I exhibit, a Vietnam War exhibit, and a Community exhibit. Fun for the entire family! Fleetwood Falls will be on stage at 10:00. At 11:00 there will be Memorial Program for WWI and Vietnam on the Courthouse Steps. 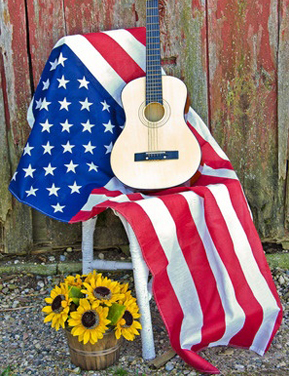 At 1:00 Generation Excellent will take the stage to perform patriotic music. The Spring Opening Party is from 10:00am – 2:00pm. The Museum will be open until 4:00, but the opening party activities will conclude at 2:00. There will be food available on site.